I first met René Girard in a lecture I attended in 1969 as a graduate student in the English Department at the State University of New York at Buffalo. He had recently arrived from Johns Hopkins University, fresh on the heels of the 1966 conference on “The Languages of Criticism and the Sciences of Man,” that he had helped to organize and that would play such a decisive role in American critical thinking. He spoke of desire, sacrifice, Greek tragedy, primitive ritual, and violence in human culture in a way that, even at that early moment, I felt had the potential to change the way we think about those ideas. I later asked him to direct my doctoral dissertation on Sophocles’ Oedipus Tyrannus in which I perceived a way to sustain his ideas (about doubles, scapegoating, and appropriative behavior) through the close reading in which I had been trained, and in subsequent years I remained closely allied with his thinking both personally and professionally through the Colloquium on Violence and Religion and other dedicated organizations. 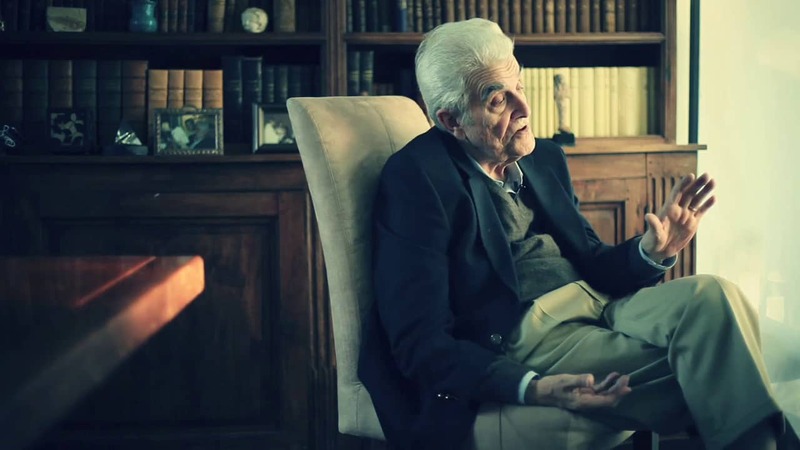 René Girard passed away on November 4, 2015 after a long illness at his home in Stanford, California, where he is survived by his beloved wife Martha, his three adored children, Martin, Daniel, and Mary, and nine grandchildren. His intellectual legacy remains in our hands. To the outside world, there were in effect four different René Girards. There was the son of Joseph Girard, born René Noël Théophile on Christmas Day in 1923 in Avignon, who graduated from l’École de Chartes, and who might readily have followed in his father’s footsteps as curator, archivist, and historian of French cultural (especially artistic) artifacts. Then after the war, there was the young scholar who accepted a one-year fellowship to Indiana University in 1947, who met a student in the French class he was teaching (Martha McCullough)—with whom he later fell in love and whom he married—and who wrote a dissertation for the Department of History on "American Opinion on France, 1940–43.” It was also this is the same young teacher who was drawn by the literature he was reading who subsequently wrote articles on Dante’s Paolo and Francesca, Malraux, Camus, Sartre, and other figures of French literary and philosophic fame, and in 1961 published Mensonge romantique et vérité romanesque (translated as Deceit, Desire, and the Novel). The book challenged readers with its thesis that all significant desire in the novels of the great European literary writers—Cervantes, Stendhal, Flaubert, Dostoyevsky, and Proust—was appropriated. Human desire in the hands of these writers, Girard argued, is borrowed from others rather than originating from demands within us or exigencies external to us. Desire in this setting is never either for the object or for the subject but selon l’autre—according to the other human being in our world we have identified (consciously or unconsciously) as our mediator or model. And it is this “mimetic” desire he argued that is at the root of conflict in these books, rather than any internal or external enemies. Impressed by the extraordinary success of this thesis, fellow scholars and literary critics might well have expected this same thinker to extend his ideas regarding imitative desire to other literary genres or examples. What in fact he did was turn his attention to Greek tragedy as a source—to the surprise of many—of anthropological and cultural insight, and with that gesture the third inquirer emerged. If all of culture and all of its violence is dominated by imitative desire (as the great writers tell us), how did we get into this mess, he wondered. The answer he proposed concerned primitive religious sacrifice and the mechanism of surrogate victimage that generated, in his view, all cultural distinction, and above all, the difference between the sacred and violence. At heart of culture, he postulated, was lynching, the scapegoating of an arbitrary victim, a mechanism of collective substitution. Modern culture has appeared in the wake of the breakdown and inefficacy of that archaic structure—on the heels of a sacrificial crisis that might well have destroyed (and undoubtedly did destroy) other cultures than our own. In La violence et le sacré in 1972 (later translated as Violence and the Sacred), Girard took on Sophocles and Euripides among the tragedians, Freud among the psychoanalysts, Frazer and his followers among the English anthropologists, and Mauss, Lévi-Strauss, and Durkheim among the French ethnologists—as well as Clifford Geertz, Victor Turner, and Mary Douglas among more recent cultural anthropologists. In the primitive religious community, Girard observed, desire is at once appropriated and managed. All the important transitions—from birth to death—and all the significant relations with others—both nearby and far away—are thoroughly regulated by ritual codes. When things work well, efficaciously, then the difference between sacrifice and violence remains clear. But when things break down, when a crisis occurs, then the very attempt to promote difference and order (which is always a sacrificial gesture) becomes itself the newest source of violation and disruption. Violence in this setting is nothing other than difference gone wrong, and difference nothing other than violent separation or boundary-construction working well. The sacred is violence that has been effectively removed from the community and remains safely sequestered outside the city, and violence is nothing other than the sacred that has escaped its exalted sequestered place and now runs amok within the city walls, wreaking havoc wherever it goes. How did we learn about this state of affairs? In the archaic community, the articulation of such runaway sacrificial violence would destroy everything in a matter of seconds. The modern world is the beneficiary, Girard would argue in his next several books, of religious scripture. Buddhism, Hinduism, Islam, Judaism, Christianity—all the so-called “revealed religions”—have one thing in common: the reading and exposure of the sacrificial mechanism. To varying degrees and in varying ways, each of the revealed religions expose the relation of violence to the sacred and reject the sacrificial mechanism to the extent that it has become irretrievably intermixed with the generation of violence. The task of the modern world, Girard observed, is to find a way out of the dangers of the runaway sacrificial mechanism. Some communities attempt to do away with the gods or desire entirely. Other communities impose new sacrificial structures upon older failed ones. Still other communities recognize the identicality of the sacred and violence in extreme circumstances and endeavor to avoid such extremities. All move in Girard’s view from the sacred (as a failed sacrificial mechanism) to the holy (as a new sacrificial or anti-sacrificial or counter-sacrificial) mechanism. In 1977, Girard published Des choses cachées depuis la fondation du monde (later translated as Things Hidden since the Foundation of the World) and in it the fourth and final religious studies thinker emerged. Christianity, as it derives from Judaism, and in particular the prophetic writings of the post-exilic period, deconstructs sacrifice. Modeled on scriptural passages from Genesis (Cain and Abel, Abraham and Isaac, Joseph and his brothers), the Holy Writings (Job), and the Prophetic Books (Jonah, Isaiah), the Gospel writers tell the story of a young Jewish teacher put to death in an egregious conflation of sacrifice and violence, a gesture undertaken in Girardian terms as “the sacrifice to end all sacrifices.” If the historical Church would subsequently declare this individual “Son of God” and his resurrection from the dead the foundation for the salvation of all, for Girard, Jesus teaches us where our violence is going. “You say that had you been there, you would not have stoned the prophets. But don’t you see? In saying as much, in removing yourself at a sacred distance from them, you do the same thing once more. Moreover, you will end up repeating the gesture upon me for telling you this—the truth of your own victimary and victimizing violence. The long history of Christianity in Girard’s view is permeated with sacrificial, anti-sacrificial, and neo-sacrificial gestures derived from this singular evangelical message. In December of 2005, René Girard was admitted to the French Academy. The core of his thought remains simple. Human beings fight not because they are different but because they are the same, because in their attempts at asserting their difference they have made themselves into enemy twins, human doubles in their reciprocal and exclusionary violence. For an organization like the American Academy of Religion, such thinking would seem its poster child. No other thinker offers at once as much comparative potential and in-depth analysis of the mechanisms of the religious and their particular relation to violence. In an age when our news is dominated by discussion of violence and victimage, the four paths of René Girard as historian, literary critic, cultural anthropologist, and religious studies thinker (paths that converged in Things Hidden and books published subsequently—especially, The Scapegoat, Job, the Victim of his People, I See Satan Fall Like Lightning, When these Things Begin, and Battling to the End) constitute a singular and sustained commentary on our deepest psychological, political, cultural, and religious dilemmas, dilemmas with which we have been struggling, it would appear, for nearly three millennia. Sandor Goodhart is a professor of English and Jewish studies at Purdue University’s Department of English, and author of five books on literature, philosophy, and Jewish studies: The Prophetic Law: Essays in Judaism, Girardianism, Literary Studies, and the Ethical (Michigan State University Press, 2014), Sacrifice, Scripture, and Substitution (University of Notre Dame Press, 2011; coedited with Ann Astell), For René Girard: Essays in Friendship and Truth (Michigan State University Press, 2009; coedited with J. Williams, T. Ryba, and J. Jørgensen), Reading Stephen Sondheim (Garland, 2000), and Sacrificing Commentary: Reading the End of Literature (Johns Hopkins Univeristy Press, 1996). He served as the director of the Jewish Studies Program (1997–2002), of the Philosophy and Literature Program (2005), and of the Classical Studies Program (2007–2011). He served as guest editor for a special issue of Shofar, 26.4 (Summer 2008) on Emmanuel Levinas, the coeditor (with Monica Osborne) of a special issue of Modern Fiction Studies, 54.1 (Spring 2008) on Emmanuel Levinas, and the editor of a special issue of Religion, An International Journal 37.1 (March 2007) on René Girard. 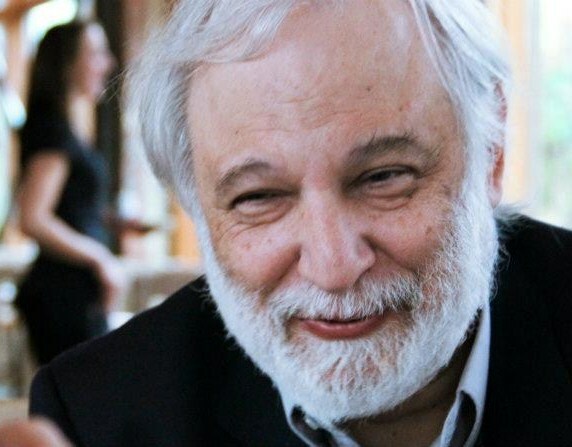 He is a continuing board member of the North American Levinas Society (founded with his students at Purdue), the former President of the Colloquium on Violence and Religion (2004–2007), and the author of over ninety essays.